Success In Business Via Blogging! When I start writing for the web or journaling (around 1994 if I remember correctly) the term blog was not as widespread as it is today. The infrastructures for web were very expensive to use on a personal base and I didn’t have a domain on my own (this happens, later on!) I wrote for company purposes and I wrote posts, newsletters, and information for my company, for products or services of interest or for the projects I managed, but rarely personal reflections and things I’d like to share. The “personal side” of blogging started later on when users want to read about the how and why of managing situations, using products and exploit ways to use more effectively the new digital revolution. Click here to download this post in a book format. It was the early days of the digital services boom (the heroic days, as some people referred to), launched by the new infrastructures and the networks. The game was connection and communication and these new technologies made that very easy. Especially so, when the related technologies made widely available and affordable to anyone. Blogging should never be a side project. Should follow a personal or a business plan! to mention, only a few economic activities developed and fostered by the digital ecosystem. The huge boost and the innovation provide these economic activities, provided a model of reference for anyone to follow (and adopt) resulting at the changing of the working environment, the decentralization of company’s operations and the work from anywhere schemes. Users were not anymore just consumers or clients but an active part of every sales process, while, at the same time, where producers themselves, exploiting the inexpensive services and applications to promote their entrepreneurship ventures. These activities and the new mode of operation (even working from home) generates real income (either by providing services or selling info-products) supporting many families to a hard (and international) economic environment. Somewhere in this international scene, blogging (along with the social media) became the flagship of the new entrepreneurship. Many of the new entrepreneurs work from home, utilize inexpensive software and infrastructure to do their business and to collaborate with their peers. Blogging can become a business if it is done correctly! They started to dig up new approaches and tools to do better their work, and more importantly, they start blogging about their experiences. The blogging helps them to clear up their ideas, and connect with an audience were impossible at different eras. Soon the interaction and the trust developed between a blogger and his/her audience permit him/her to develop a privileged channel for promoting new ideas and concepts or for providing specialized services and products. With the time, blogging was not just an activity providing a side income but becomes a core business for many of the new entrepreneurs. Today there many reasons and data supporting blogging activities but blogging is less than important if you do not do it in a serious (and professional) manner. 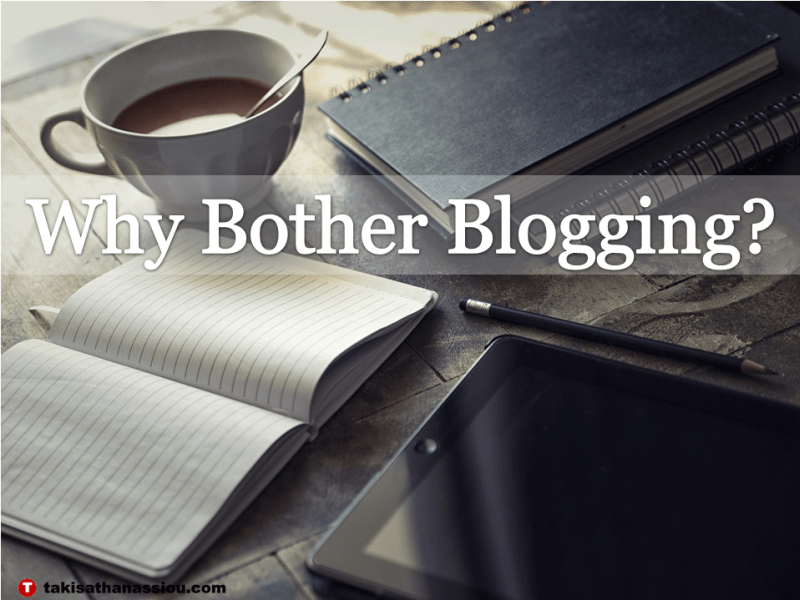 And there is absolutely no reason to bother blogging if you do not do it right! Have a purpose. Blogging should be focused and be done with a plan in your mind. Cannot be a side project, only sporadically you employ to record your thoughts and ideas. It should be done for a purpose and should generate results. Write for your niche market. It is very important to know the people you are willing to serve and to know the way you do it best. You should select your niche market carefully based on your experience, on your interests, on what love you do, and on what a market is willing to pay in relation to your knowledge and skills. The combination of these factors will provide you the main direction on how to proceed. Write to provide value to your readers first and not to yourself. It is always important to write having in mind on how to provide the maximum service and provide content will be useful at every time to your readers. You have readers, not clients. The difference is important and every blogger should know the difference, respect the people honored him/her and seek to actively connect with them in order to understand better how to provide them better services. Blogging ideas are everywhere. The trick is to find the best one which would permit you to provide more value to your readers. You should always blog having a plan. Otherwise, you might find yourself do a lot of hard work, without the expected results. You need to treat your blogging activities, as a business and not as a side project. Only providing the necessary time and resources you will see this activity growing. Question: Do you blog? How do you manage your blogging activities? Do you think you are a successful blogger? How you provide value to your readers? You can leave a comment by clicking here.